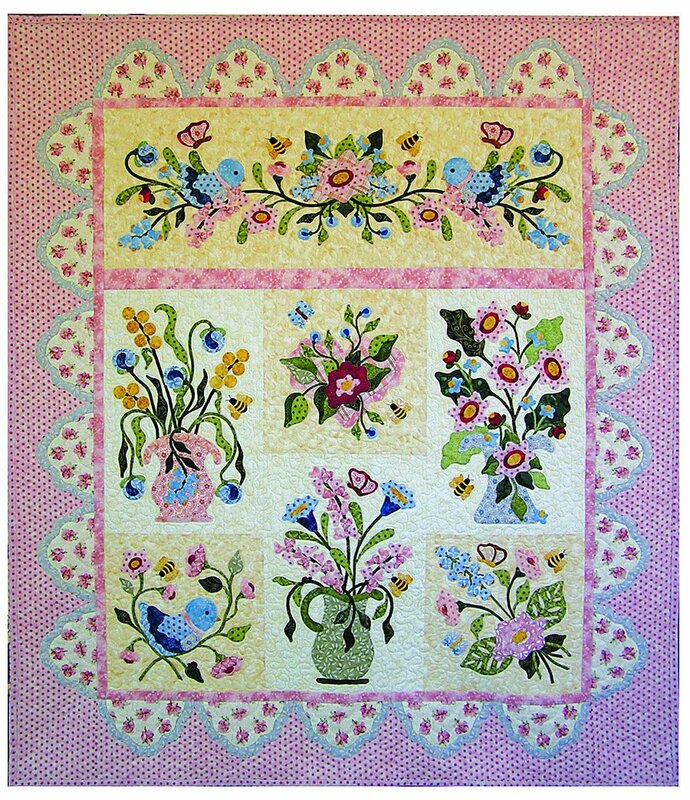 Every day will be spring when you display this quilt filled with flowers, bees, butterflies and little blue birds. Easy to hand applique shapes, and the simple double scalloped applique border frames the quilt and gives you plenty of area for hand or machine quilting. Pattern includes full size drawings to make the 50" x 57" quilt. Instructions include step-by-step directions for Pearl's Easy Applique Techniques using freezer paper -- for hand or machine applique.